McCarthy Water, a team of more than 150 experts specializing in water and wastewater construction, is working with cities, counties and municipalities to help proactively address their growing water needs. With thorough evaluation of wastewater and water treatment systems, McCarthy provides solutions for addressing growing demands, increasing efficiency, and providing resiliency upgrades with smaller renovations as well as large project expansions. Whether McCarthy’s water specialists are helping to resolve the need for improvements by upgrading existing or aging infrastructure, expanding service capacity, adding redundancy, or renovating a system, our years of experience allows us to provide cost certainty in the earliest stages of the project and ensure there is no impact to existing service during these critical projects, no matter the size. 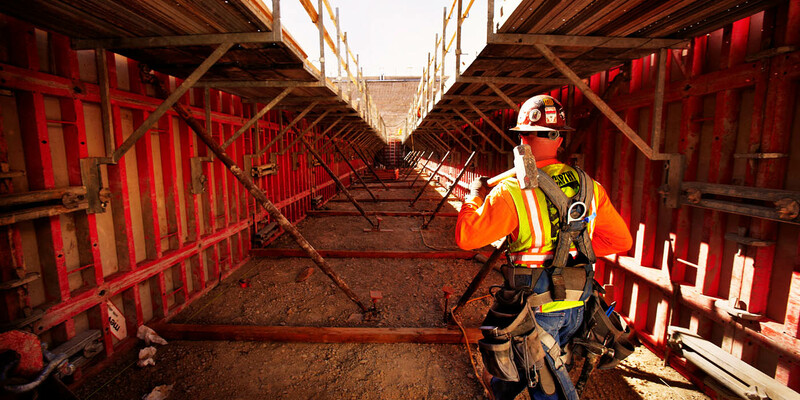 Because our water team has built the most complex projects in the region, while also successfully completing smaller resiliency upgrades, clients in Arizona and around the country appreciate having access to McCarthy Water’s vast technical skills and project management experience on every job, no matter the size. Afterall, when it comes to water, it’s not worth taking any risks! "The level of coordination by McCarthy on UP05 allowed for a large amount of work to be completed with minimal impact upon operations of the facility. The advanced planning also afforded plant staff to continue with scheduled maintenance activities, as well as save money for our residents, a vital concern in these tough economic times." McCarthy’s water team then implements each step, protecting the environment and communicating with the surrounding community and owner through every stage of the project, delivering on schedule and on-budget, no matter the complexities along the way. With McCarthy Water comes the peace of mind knowing that your community will have their water needs met, better.